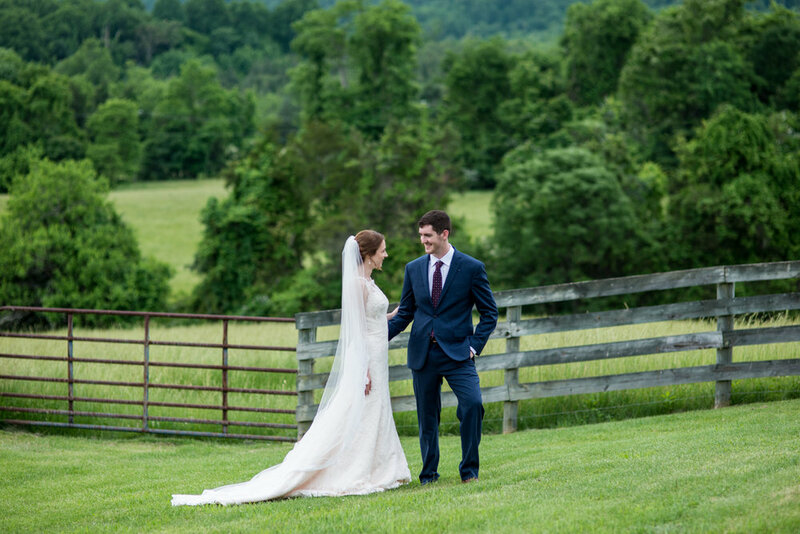 If rain on your wedding day is good luck, but you still want the prettiest pictures and an outdoor ceremony, then Mason and Olivia had the most perfect day. 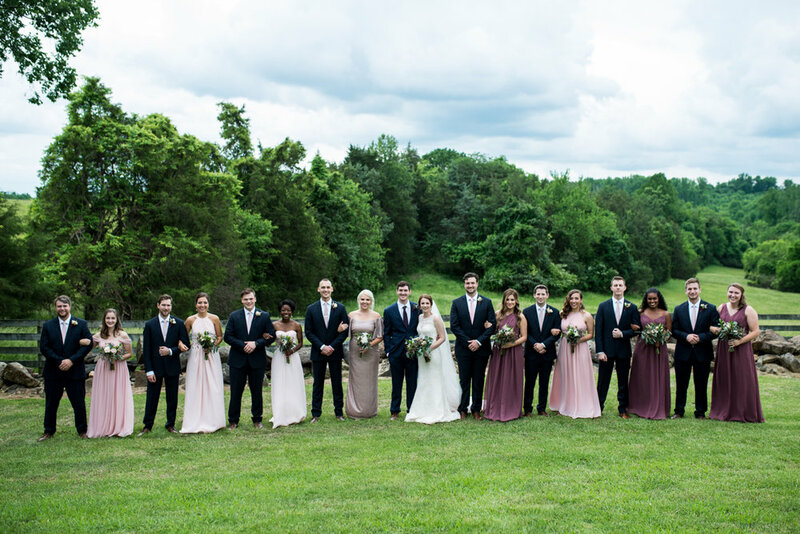 We watched as the famous Charlottesville thunderstorms threatened, creating gorgeous light for their first look and holding out until the moment we walked inside. 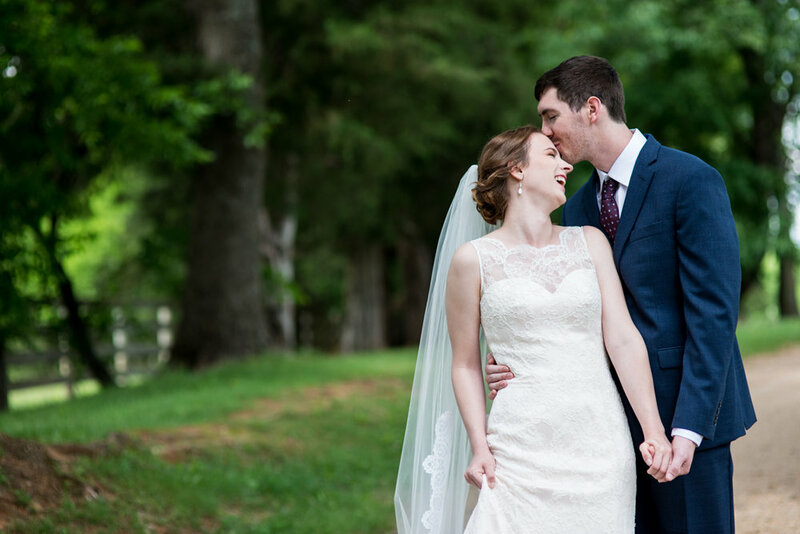 Though it sprinkled at first during the ceremony, guests were prepared and the rain eventually stopped as these two stood under a tall tree at James Monroe Highland to say I do. 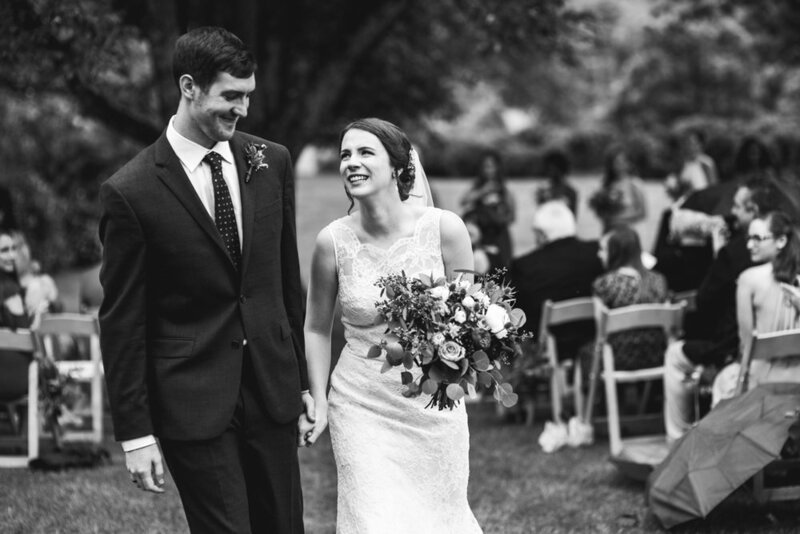 I wish I could write the exact words here that were shared during their ceremony, but what I can tell you is that it was one of the most God-honoring, love-filled, meaningful messages I have heard. 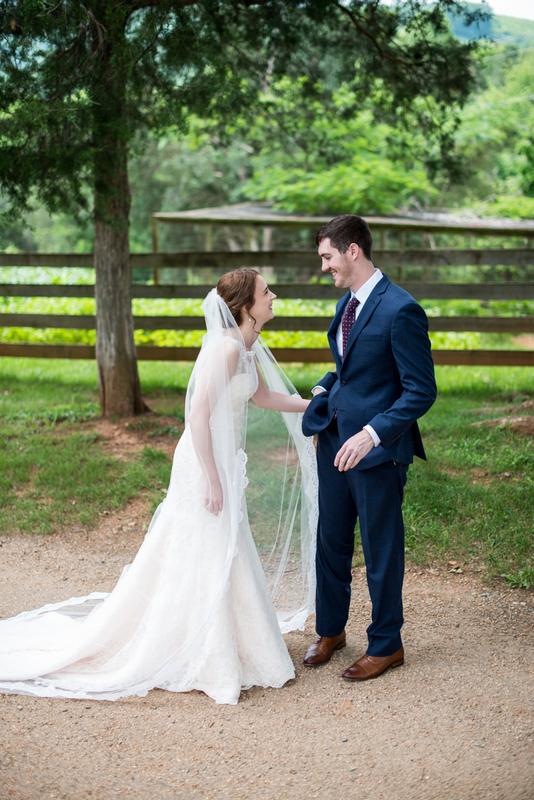 Mason and Olivia cried tears of joy all day - when they first saw each other (at their first look AND as she walked down the aisle! ), when they opened gifts the other had spent countless hours working on, and again as they got to say the words 'husband and wife' officially for the first time. 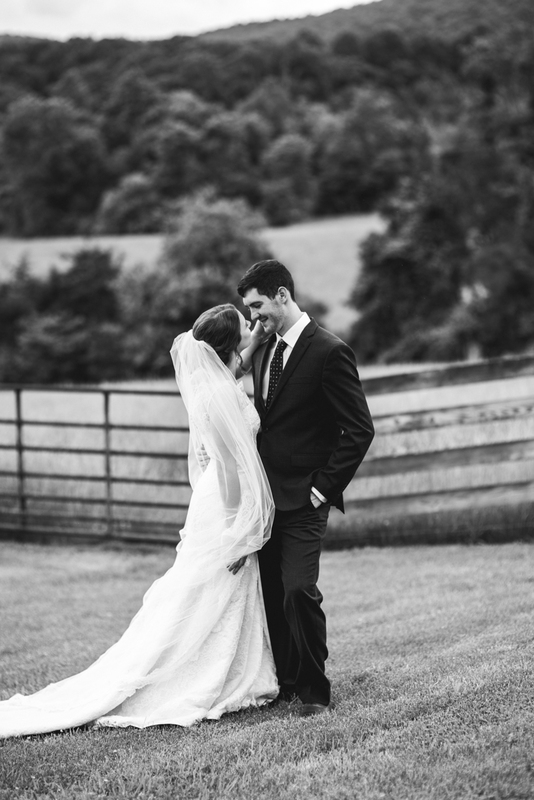 Though the details were beautiful, they put more thought and care into the most meaningful parts of their day, choosing to center their wedding on all the right things. I can't help but at least highlight a few of my favorite details though! 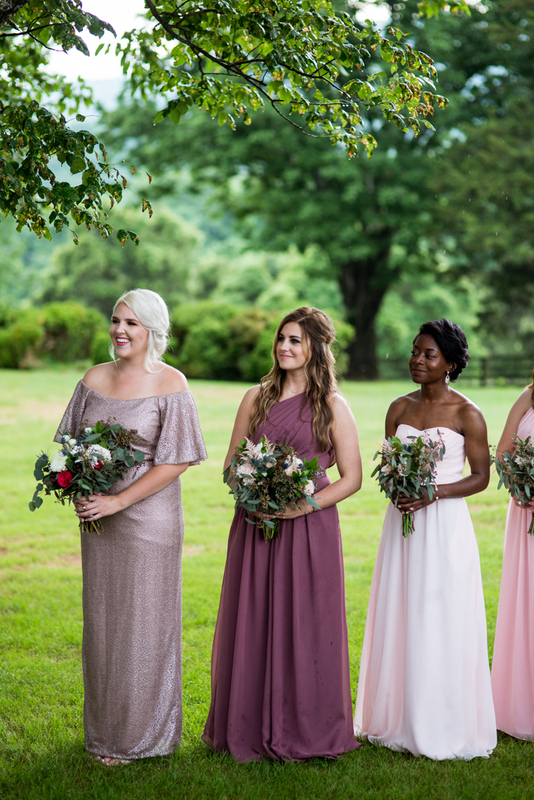 Mismatched lavender and blush bridesmaids dresses made ALL the ladies look good, and their bouquets filled with blue thistle and pops of red were the perfect mix of unique beauty. 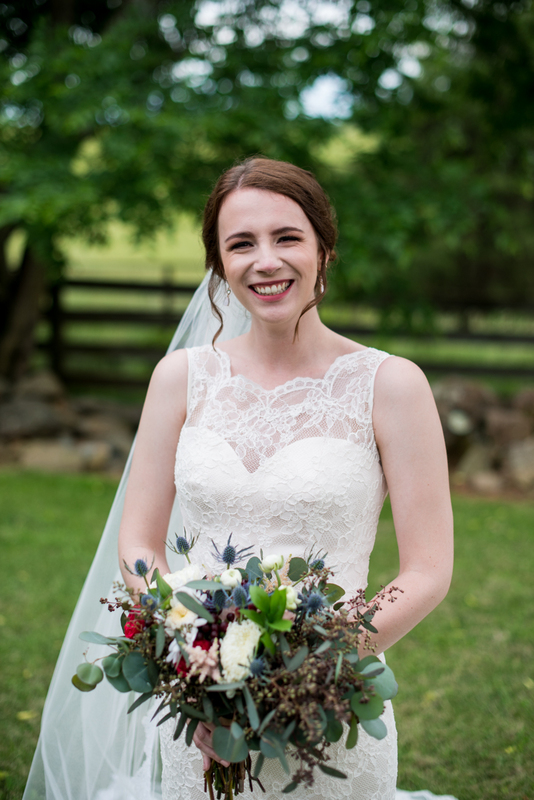 Olivia's chapel-length train held lace from her mom's wedding dress, and they kept sustainability as a focus by giving wildflower seeds as their wedding favors. 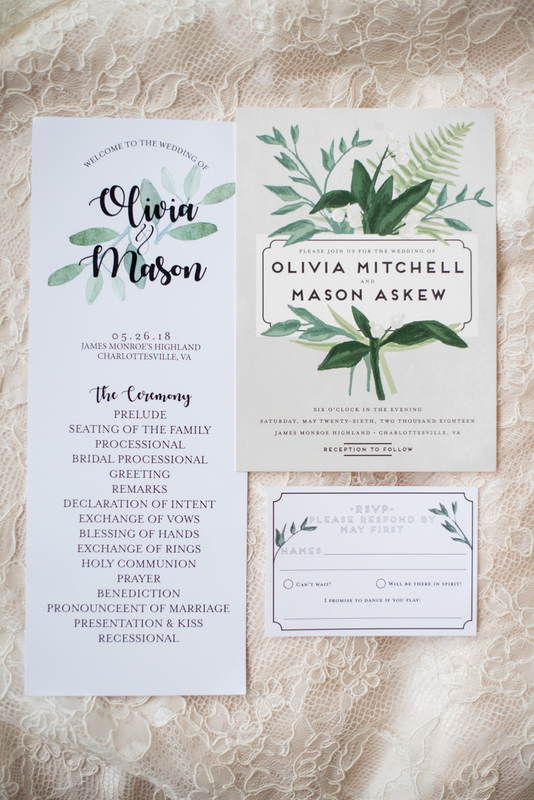 With beauty in the planning of each moment and each element, Mason and Olivia will forever remember this as the most special day of their lives together. Mason and Olivia - how is it that you two are married?! I've known you both for years and it has been a privilege and blessing to watch you grow up and become the people you are today, made so by the Lord, your family, and the close friendships you have built through the years. 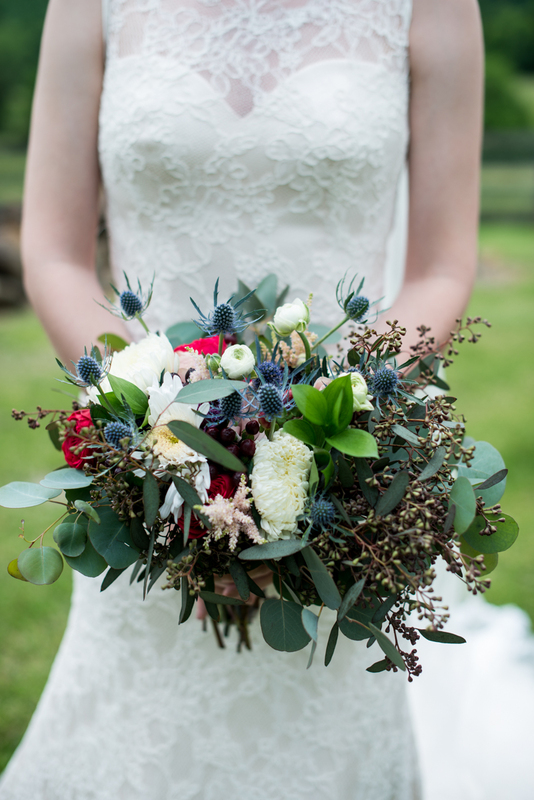 I can add nothing to what was already said during the ceremony, so I will only say this: hold onto the promises you made to each other and the words spoken last Saturday. And, above all, hold fast to the Lord. 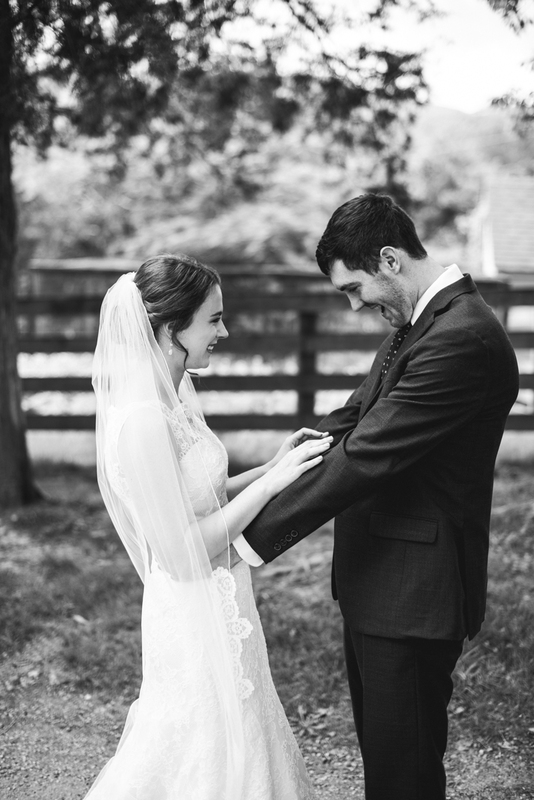 Their first look absolutely melted my heart! May we all find someone who looks at us the way these two look at each other! 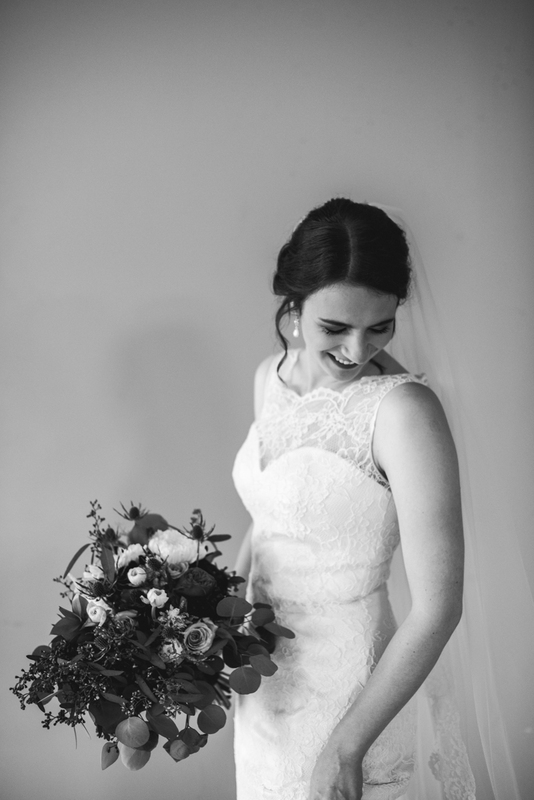 Before the ceremony began, the ladies in Olivia's life prayed over her in a special moment. 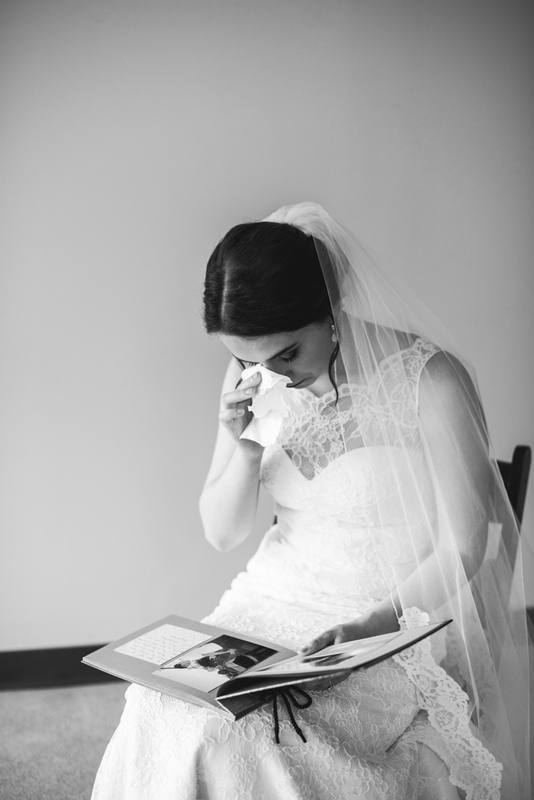 He had already seen her earlier, but when Mason saw Olivia again - about to become his bride - he couldn't hold back the tears. Towards the end of the ceremony Mason and Olivia shared a private moment of prayer as the congregation stretched out their hands and prayed for the new couple. The dance floor was filled ALL night, but it didn't stop us from going to a few more locations around the venue for some final bride and groom portraits.